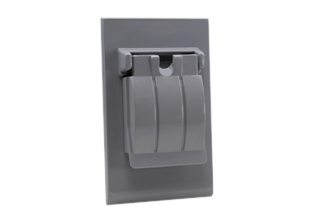 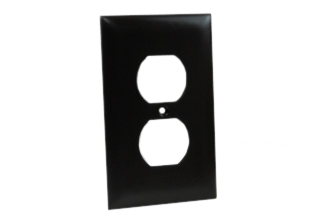 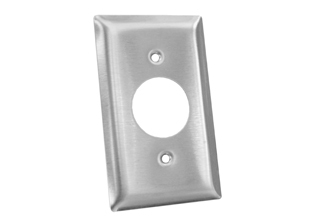 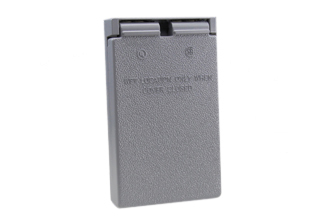 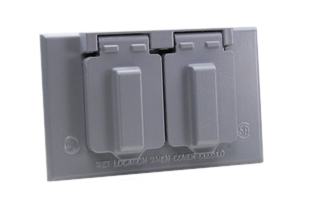 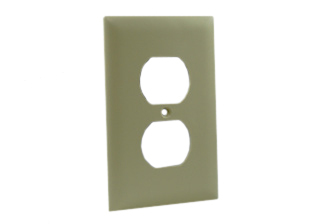 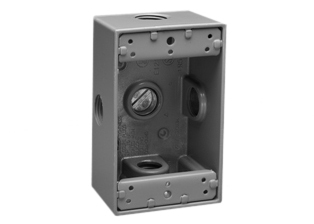 UL, CSA, NEMA, UL514A, UL514C ONE GANG WET/DRY LOCATION WEATHERPROOF surface mount WALL BOX, CAST ALUMINUM, GRAY FINISH, FIVE 1/2 INCH CONDUIT ENTRY HOLES. 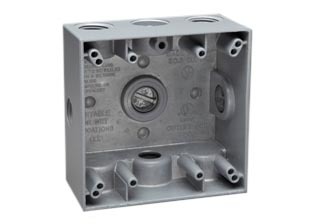 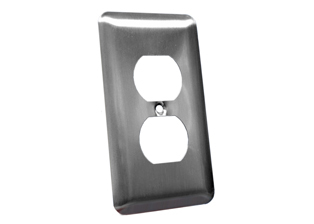 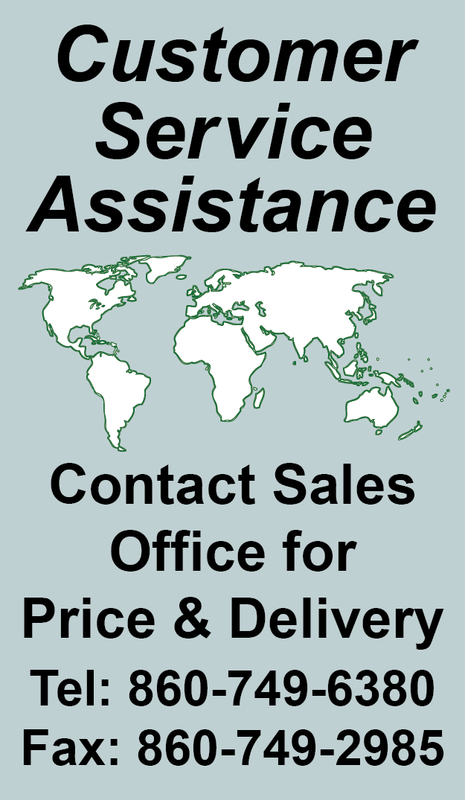 SUPPLIED WITH 5 CONDUIT ENTRY PLUGS AND EXTERNAL MOUNTING BRACKETS. 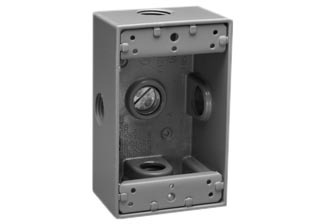 Description: SURFACE MOUNT AMERICAN TWO GANG WET/DRY LOCATION WEATHERPROOF WALL BOX, CAST ALUMINUM, GRAY FINISH, SIX 1/2 INCH CONDUIT ENTRY HOLES. 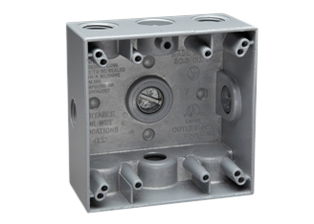 SUPPLIED WITH 6 CONDUIT ENTRY PLUGS AND EXTERNAL MOUNTING BRACKETS. 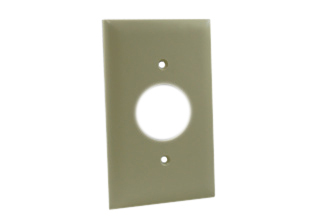 UL AND CSA LISTED.